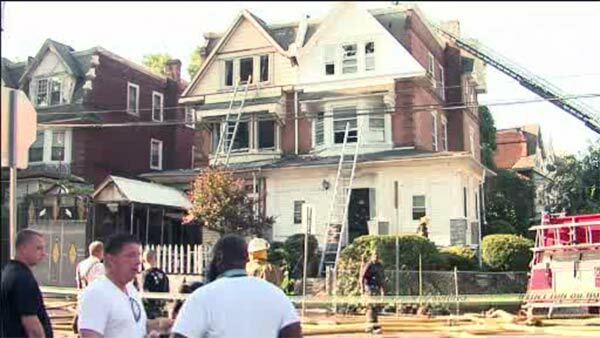 LOGAN (WPVI) -- Four people were rescued after a fire on Saturday morning in the Logan section of Philadelphia. The fire was reported around 7:30 a.m. in the 1100 block of Lindley Avenue. Firefighters arrived to see flames shooting from the first floor of the apartment building. A woman escaped through a window, got up on the roof, and walked across to the property next door. She was rescued by firefighters and taken to the hospital. Three more people were found inside the building. They were not hurt. There was no word on the cause of the blaze.